The sun is going down and dusk is slowly descending upon Baghdad's silhouette. The shadows in the alleyways are getting longer and becoming darker. The Bazaar slowly empties and the honourable citizens of this desert metropolis make their way home. This is the time when Ahmed and his men go about their business. They have planned a big mission for this night. 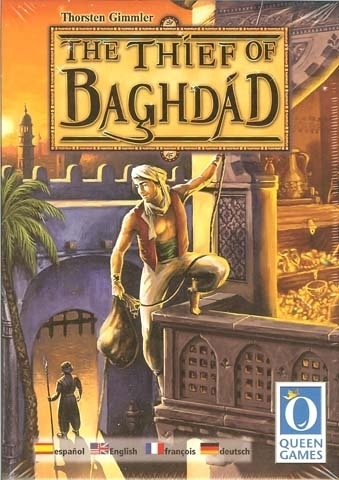 They want steal no less than 4 treasures from the palaces to leave no-one in any doubt that: There is only one thief of Baghdad!